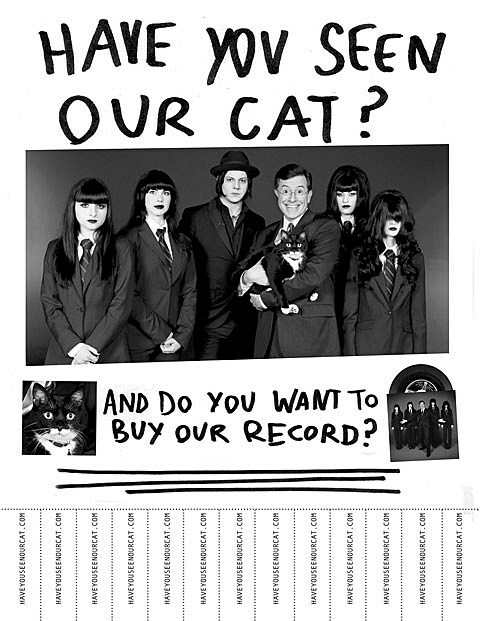 As you know, Third Man Records label boss Jack White made three special appearances on The Colbert Report this week, and Third Man recording artist The Black Belles were Thursday night’s scheduled musical guest. 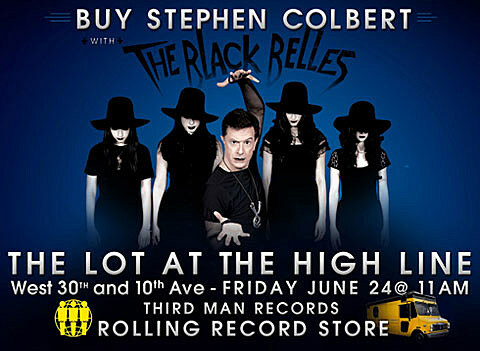 The Rolling Record store is with Jack and the gang in New York and will be selling the Tri-Colors of the single Friday the 24th…And Stephen Colbert is gonna help us sell em. But that’s not before him and The Belles rock their new jam LIVE for the masses.. Yeah. One gig world tour. Put that in the “Don’t Miss” file. It all goes down at High Line Park at 30th and 10th. The Rolling Record Store opens at 11 and the jams get kicked out soon after… So come see us for Colbert Red White and Blue Tri-Colors and other exclusive merch tomorrow. It’s gonna be LEGEND. VIDEO PART 3 coming soon?